Cristiano Ronaldo is an example for all young footballers, says Manchester United striker Romelu Lukaku. Former United hero Ronaldo returns to Old Trafford with Juventus for a Champions League clash on Tuesday, having left Real Madrid in a July deal worth €112million. 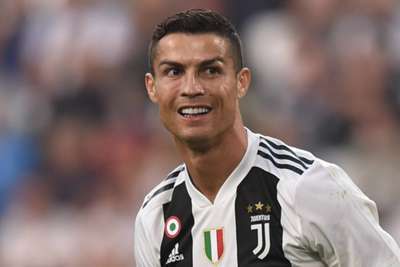 With Mario Mandzukic ruled out through injury, Ronaldo will shoulder Juve's goalscoring burden in the Group H tie, the Portugal captain having struck in his last two appearances for the Serie A champions. And United striker Lukaku believes Ronaldo's dedication to improving his game makes him a role model for rising talents. "You just look at the way he plays, the way how he performs, and the way he prepares himself for the big games and also the regular games," Lukaku told a news conference. "He's a guy who has been consistent for the last 10 years. He's an example for all the young players coming up. "Obviously the challenge of tomorrow is to win the game against a really difficult side, but we're going to do our best and see where we stand against one of the best teams in Europe." United host Juve with four points from their two group games so far, but Jose Mourinho's side have only won one of their last six matches in all competitions. But having come from behind at Lukaku's old club Chelsea last time out, only for Ross Barkley's late goal to salvage a draw, the Belgium striker says United are on the up. "The mood is really positive," Lukaku added. "Obviously we were disappointed with how the game ended against Chelsea but like I said at the start of the season a lot of stuff has changed behind the scenes. "It's going to take time obviously to be where we want to be but in the last two games we have proved that we can play and we can press forward and we have players to make the difference, and now the work that we're doing behind the scenes has to be moving into this." Lukaku's form has mirrored United's this season, with the striker without a club goal for over a month, although he hit a Nations League brace against Switzerland during that period. "Basically now I think I'm in a phase where, with Belgium I've been playing there for 10 years... I've been there since I was 16 and I'm 25 so players know me much more," Lukaku continued. "But here I still think that my teamwork between myself and my [United] team-mates can improve much better, and that's something that we are working on. The players need to know me, they need to know my movement and I need to know their movement. "When that starts clicking I think then the results I had with Belgium will come also over here."